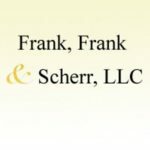 Frank, Frank & Scherr focuses its practice on assisting older adults planning for their future, families planning for the long term care of family members who are disabled, estate planning and estate administration. Virginia and Washington, DC; Dual special needs Plan Medicare Advantage. Got Medicare, got Medicaid or QMB? Stop by or call today.